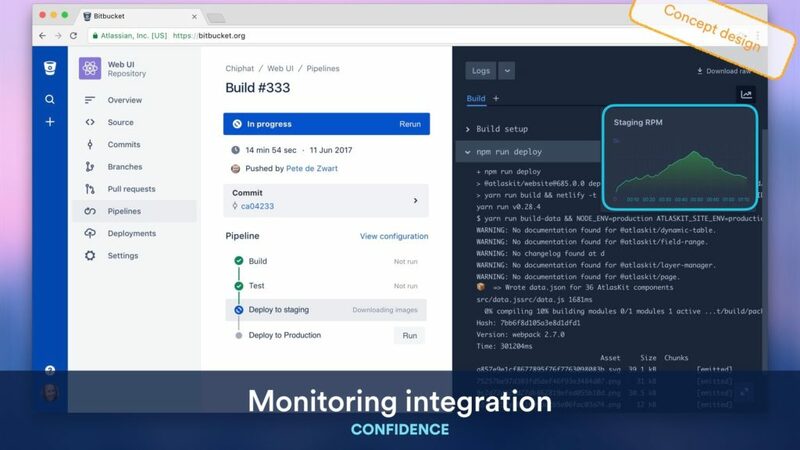 What you’ve seen over the past few weeks with Deployments and Pipelines in Bitbucket Cloud is just the beginning of our mission to help every software team adopt continuous delivery – and we’ve got some exciting ideas in store for how to improve the product. If you have feedback about how to improve Bitbucket Pipelines and Deployments, please share with us here. We’d love to hear from you. It isn’t enough to just know which commits are in each deployment, teams want a higher level overview and deployment status information directly in their tracking tool. 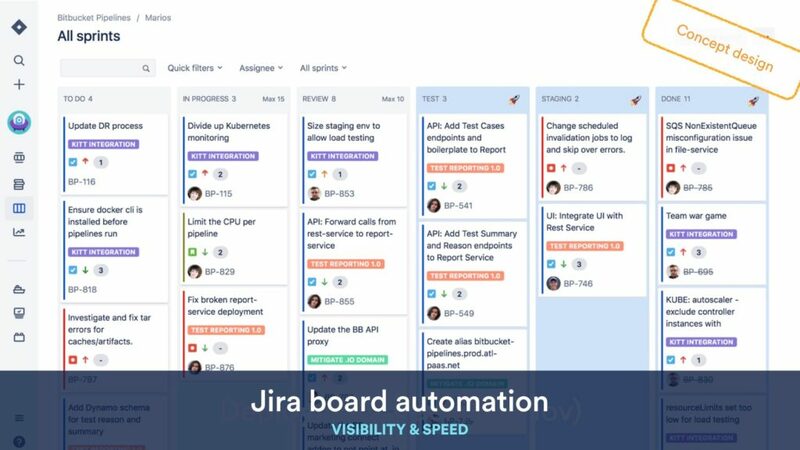 Bitbucket Deployments will appear in your Jira issues, and also support workflow automation so you can progress issues automatically as deployments go out. Teams want to know whether their investment in continuous delivery is paying off. Soon, you’ll be able to see how often code is deployed to each environment. We’ll use the historical deployment data tracked in Bitbucket to provide you with figures and charts so your team can set goals and track their release cadence. 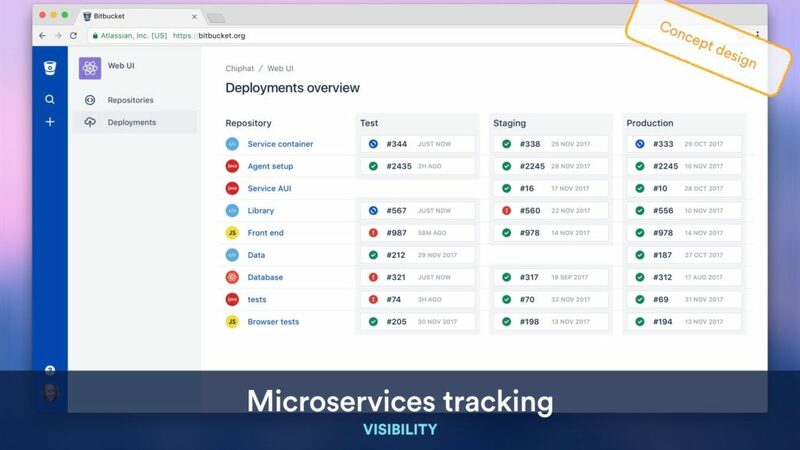 For teams that run multiple services, you will be able can track deployments across all the repositories and services that make up your application, see which version is deployed to each environment, and get delivery speed insights across those services too. As your team is deploying to production, imagine seeing both the deployment logs and system metrics live and side-by-side as your deployment goes out. We already have great integrations with vendors like Raygun and Rollbar for production monitoring, but want to take these to the next level for teams doing frequent deployments. Ready to try Bitbucket Deployments? Learn more and let us know your thoughts. Follow us on Twitter to be notified of the next updates from Bitbucket. Thanks!